The best moves taken during the investment deals can offer huge benefits. For clever investment in Kolkata, you need to think wisely and make the clever moves on the correct time. The property of Kolkata is very lucrative and hence, plenty of high-quality projects are marking their presence in this glorious city. The developing suburbs of Kolkata city have the potential to produce multiple returns in the long run and property in advantageous regions like Howrah could be a future wealth for your family’s security and future. Kolkata is a well-planned advance city and Howrah is a renowned landmark here equipped will advanced infrastructure and modern facilities. So, a sweet dream home here can be a great deal for you in order to live a comfortable and sophisticated lifestyle or to earn huge benefits. The time has arrived for the modern homebuyers in Kolkata to make the complete worth of their investments as the lovely project, Shapoorji Pallonji Joyville is ready to rock you with its amazing features. 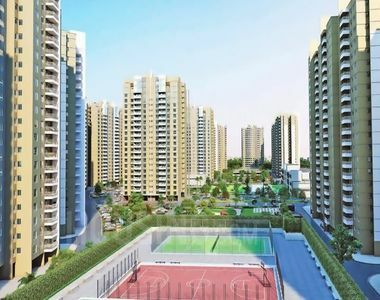 The project’s key features in Shapoorji Pallonji Joyville Howrah are unlimited and you will find here great amenities, wonderful surroundings, and best interiors. The homes are available in different configurations and buyers can choose from the 1, 1.5, 2 and 2.5 BHK variants. All the homes in Shapoorji Pallonji Joyville Kolkata are well-spacious and superbly ventilated and their unit areas varying from 605 sq. ft. to 1291 sq. ft. Accessible smoothly from the airport, important business hubs and other major landmarks, the complex is a convenient destination for express travelling. 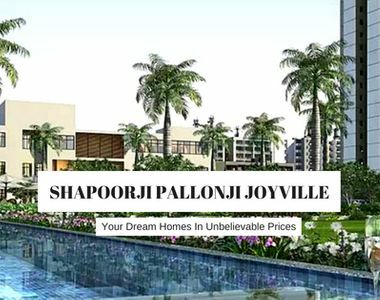 The great and exclusive Shapoorji Pallonji Joyville Price is easily affordable and ranges from Rs. 19.66 lakhs to Rs. 41.95 lakhs.